Many insurers issue to defense counsel “litigation guidelines,” which state under what circumstances defense counsel may decide to take certain actions in the defense and under what circumstances prior authorization from the insurer is necessary. Georgia Rule of Professional Conduct 1.7(a) provides as follows: “A lawyer shall not represent or continue to represent a client if there is a significant risk that the lawyer’s own interests or the lawyer’s duties to another client, a former client, or a third person will materially and adversely affect the representation of the client, except as permitted [by client consent].” Where an insurer uses litigation guidelines to control defense costs by limiting defense counsel’s actions in defending the case, Rule 1.7 comes into play. 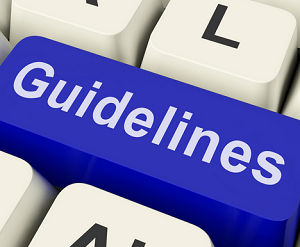 For example, guidelines may limit the discovery to be propounded on adverse parties. Such restrictions create potential conflicts of interest if they inhibit an attorney’s ability to adequately defend a case or interfere with the attorney’s independent professional judgment. For instance, the Montana Supreme Court has held that Montana attorneys may not follow an insurer’s billing and practice rules which limit or direct the scope and extent of the attorney’s representation of the insured. Pursuant to the liability insurance contract, the insured delegates to the insurance company the right to defend the case and is required to cooperate in the insured’s defense. However, the rules of professional conduct – and not the liability insurance contract – govern the lawyer’s ethical obligations to his client, whether the client is the insured, the insurer, or both. if the insured disagrees with the insurer’s conduct of the defense, the insured may refuse the defense offered and proceed with his own counsel at his own expense. The insured can agree at the outset that his appointed attorney should follow the insurer’s direction and does not have to specifically consent to each act or decision that his attorney makes. If the insured disagrees, however, the attorney must follow the wishes of his insured client, to whom he owes his primary duty.